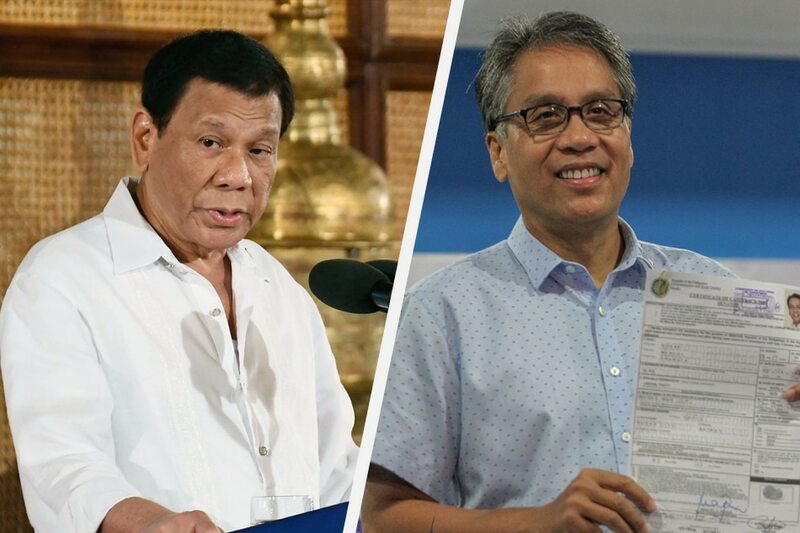 MANILA - President Rodrigo Duterte on Thursday said there was no problem with voting for former Interior Secretary Mar Roxas in the 2019 elections. Duterte made the remark in a speech in Boracay Island after he distributed land titles to agrarian reform beneficiaries. "Alam ko si Roxas… Vote for Roxas, Ilonggo eh. Iboto ninyo, walang problema ‘yan," he said of the former Senator and cabinet member who had also served as Capiz Representative. Roxas, a stalwart of the opposition Liberal Party who Duterte had defeated in the May 2016 elections, is seeking a return to the Senate in next year's midterm polls. In his speech, the President said the public could measure Roxas' stamina for public service with the latter's attempt at a political comeback. "Sige (go ahead), why don’t you try para makita ninyo (try and see). You can only measure a man’s stamina for doing a particular activity for his fellowmen," Duterte said. Duterte mentioned Roxas while he was criticizing retired police general Marcelo Garbo, who he accused of handling illegal drugs in Visayas. He said Garbo served as Roxas' aide during the latter's time in government. "Itong si Garbo, I don’t know where he is, that idiot. You know Garbo was the police aide, senior aide of Roxas. Pero ‘yung Garbo na ‘yan, naghawak ng droga sa Visayas, iyon ang police makita mo palagi sa tabi ni Roxas noon," Duterte said.